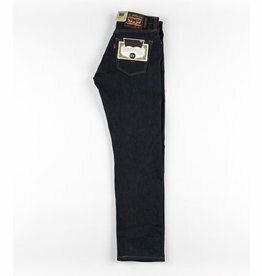 The Labor 5-Pocket Denim Pant is a straight-leg five-pocket pant properly crafted in 14-oz. denim woven by Cone Denim®. It features a button fly, custom tack buttons, interior phone pocket, chainstitch seams and a 17.5" leg opening. With a 16-inch leg opening, the Solver jeans wear bigger so you can hit it harder.